Getting low on the level of the birds produces interesting possibilities for portraits. I was lying on my belly with a 500mm lens for this view. 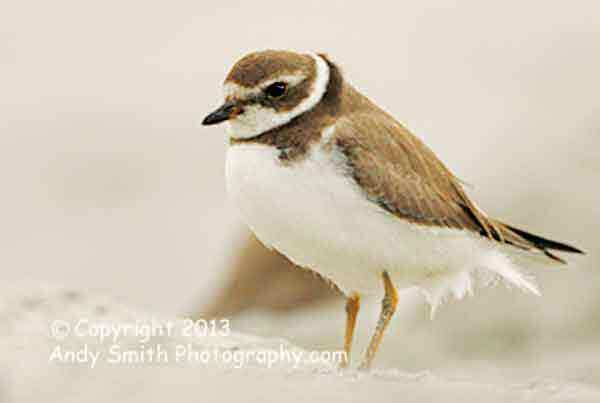 The Semipalmated Plover, Charadius semipalmatus is a common migrant along the East coast in fall and spring migration. This shorebird breeds in the low tundra along the Arctic coasts of Canada and Alaska and winters along the Atlantic, Gulf and Pacific coasts of the US and Mexico. This individual is on the north end of Brigantine Island, New Jersey, in the fall, where it is commonly seen on beaches among the Sanderlings.